COMP Cams Hi-Tech Triple Valve Spring O.D. : 1.645"
Triple Valve Springs from Comp Cams deliver maximum strength, durability and valve train stability. 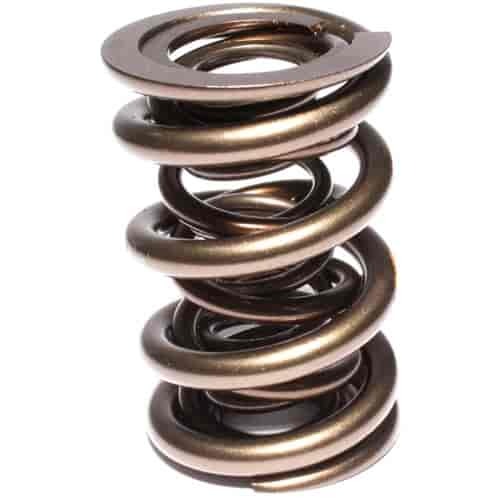 Engineered from Super Clean wire and subjected to extensive quality control measures, the triple spring design creates a stronger valve spring that can easily handle the increased lift and extreme demands found in aggressive applications. Comp Cams Triple Valve Springs exceed the expectations of today's engine builders and racers! Does COMP Cams 948-1 fit your vehicle? COMP Cams 735-1 - 10° Titanium Retainers Valve Spring Diameter: 1.625"
COMP Cams 739-1 - 10° Titanium Retainers Valve Spring Diameter: 1.625"